But not really. Its pretty good and definitely one of the best albums of the year, but its definitely not perfect. There are moments where it is truly jaw-dropping, and there are moments where you wonder what Kanye was thinking. 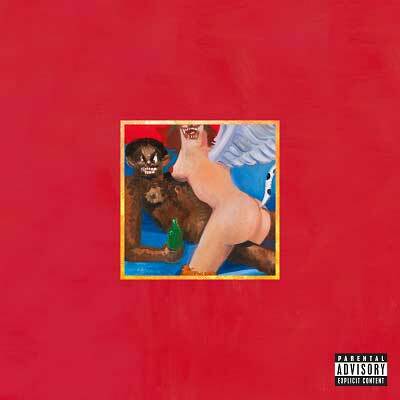 Dark Fantasy opens the album with an immediate sense of urgency and incredible production. It feels like a modern day RZA song, with loopy piano and bass lines and frequent breaks used to highlight vocal sections. West finally sounds like the genius he always claimed to be. In the past his production has stepped on the feet of the vocal performances and vice versa. He did some incredible things, but had a penchant for overcomplicated, borderline messy oversampling. Thats gone. Every part of every song serves to highlight another. Unfortunately, the best song comes first. There really aren’t any bad songs on the record, but songs like So Appalled, while interesting, drag on. Runaway is incredible, with the exception of Chris Rock. Niki Manaj has an obnoxious guest spot on Monster, which is otherwise a great song. Lost In The World, Blame Game and Power are all highlights, and are all pretty close to perfect. His use of guests generally helps the album, taking the pressure off of his own less than stellar vocal abilities. He has improved as an MC and gets the job done, but he’s still far from the best. Lyrically, the album serves as a window into both his delusions of grander and his crippling insecurities. ~ by Andrew Baer on November 22, 2010.